Venn Diagram is an interactive tool that helps recognize the significance of the regions. An interactive tool for comparing lists with Venn Diagrams. A simple Venn diagram template for comparing lists with Venn Diagrams which created with three circles at most. 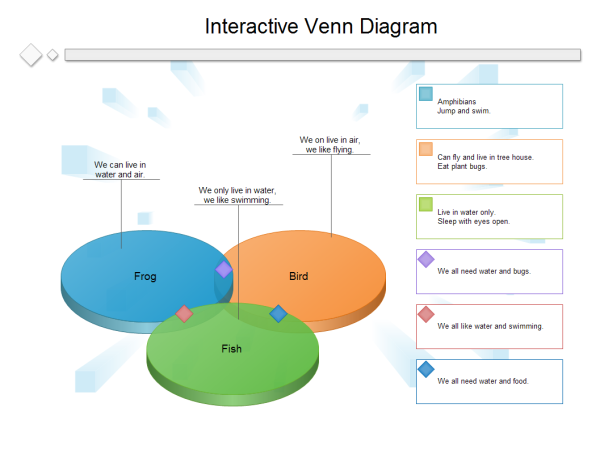 Discover why Edraw is an excellent program to create Venn diagram.